‘Doing something innovative’, that’s one thing we all are struggling with if you are working in the digital industry, and why not we all are looking for something new all the time when we are browsing through our social media newsfeed. The only one thing constant on social media is innovations. It has enabled businesses to create an experience so immersive that consumers feel they are very much a part of the action rather than being just the audience. The evolution of social media is an almost daily occurrence. Therefore, with every new way of interaction, it had become highly important for people, brands and businesses alike to keep up with the pace of social media progression. 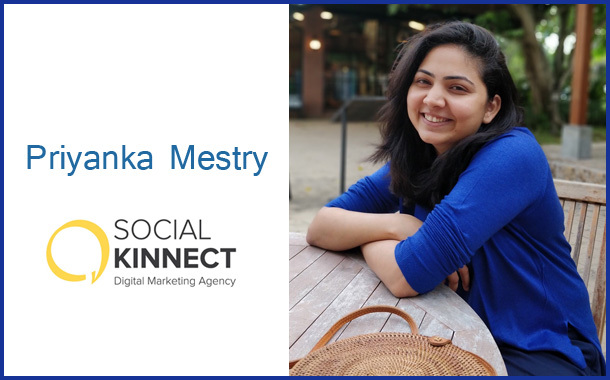 Being a part of the creative team in a 360-degree digital marketing agency – Social Kinnect, it is of utmost importance that we keep ourselves updated about all the ongoing, as well as upcoming trends across platforms and how we can leverage digital media to its fullest using technology and the art of storytelling. The ever-evolving digital space not only requires you to be continually on your feet but also arouses curiosity to keep up with the latest happenings. And for an agency like ours as well, doing something iconic or different for Social Media Day is super exciting and challenging for our team, but frankly we are celebrating this day every day at Social Kinnect. We live, work and breathe social media, and our celebrations will be in the same flow. The accumulation of information on the minutest developments in the digital space has admittedly helped deliver on the marketing objectives of our clients, steering several of them to a position of leadership in their respective segments. The fact that we are in the midst of a social media revolution is evident by our extensive use of social platforms. A common link that binds us all is the dissemination of information on these social media networks. Its longevity is not just the result of its effectiveness in bringing people close virtually, but also of businesses leveraging it to reach out to their target audience. Hence, with every passing year, the celebration of Social Media Day holds more relevance than ever before! Constant learning, keeping an eye out for the developments in the digital space, bagging opportunities to innovate, and adding the best people to our tribe, who imbibe a growth mindset, the ability to look at things with a fresh perspective and do things differently is how we roll. We want to make sure we are more proactive than reactive in our approach towards what we offer to our clients. The digital ecosystem that brands thrive on today requires them to communicate with their audience on a 24/7 basis, which is a challenge to the marketers. Intrigued by the positive disruption caused by multiple innovations on social media and in the digital space as a whole, brands have started moving from considering digital a part of the plan to now reckoning it to be the ‘the plan’.